On March 16, 2012 at approximately 2026 hours, members of the Traffic Safety Section were requested to respond to the area of 8th Ave NW, east of Penrod Ct, Glen Burnie, MD to assist Northern District Officers with a serious motor vehicle crash. Preliminary investigation suggests that the pedestrian, identified as John Victor Bandtholtz, was crossing 8th Ave from the north side of 8th Ave to the south side, when he failed to yield to the 1996 Chevrolet Astro Van. The Chevrolet was being operated by David Edward Gooden. The Chevrolet swerved to avoid striking the pedestrian but did strike the pedestrian with the right front of the vehicle. 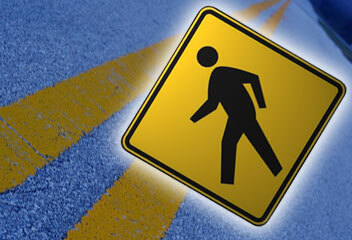 The pedestrian received life threatening injuries as a result of the crash. He was transported to the University of Maryland Shock Trauma by Anne Arundel County Paramedic 33. He is currently listed in critical and stable condition. Preliminary investigation indicates that pedestrian error by failing to yield the right of way to the van was the main factor in this crash. Conspicuity and alcohol on the part of the pedestrian were also factors in this crash. The crash remains under investigation by the Traffic Safety Section.